Located 60 minutes from Ho Chi Minh City Centre you will find the 27 holes international championship Twin Doves Members Golf Club. 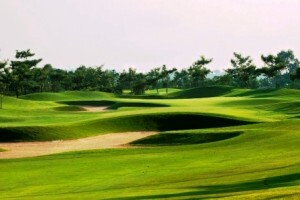 The Golf Course has a natural environment and has three nines known as Luna, Mare, and Sole. 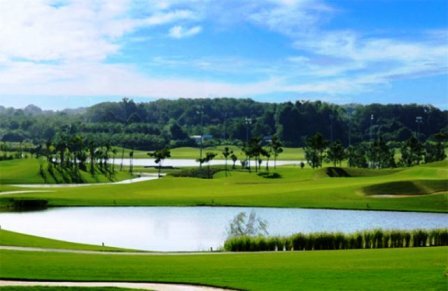 With the outlook of the non-urban Vietnam landscapes the Luna Course is recognized by many little mountains and nearby jungles. This course has mixed all the organic forms of the area which are used as complicated risks. 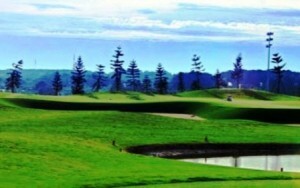 5 of the holes are linked by moving mountains and the rest are divided by tree-lined fairways. The Mare Course is more organic with all holes between streams and plants. However, do not let the organic feeling deceive you into a sense of contentment. Precise shot taken is crucial to rank well. Most of the greens are multi-tiered and covered by water risks, creating shot precision once again extremely important for a good ranking. The Mare Course is the most interesting of the 3 nines. 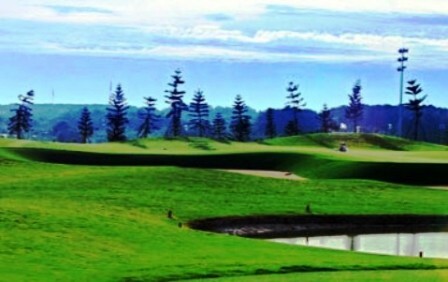 The Sole Golf Course attribute island green, coast bunkers, and performs around a blue lake. This makes the 9 both creatively eye-catching and complicated. 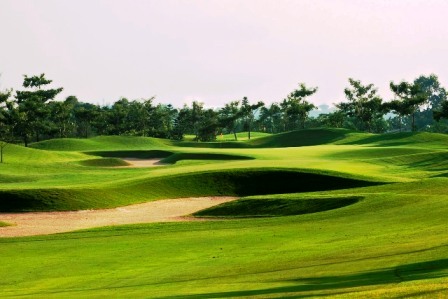 Also exclusive to this nine is the use of 7 par-4’s and only one each, par-three and par-five. Most players want to avoid the Sole Course for this other redirecting. In any case, this nine is still noticeable with a sequence of natural water hazards and difficulties. As predicted of a private association the golf club features are all five-star. 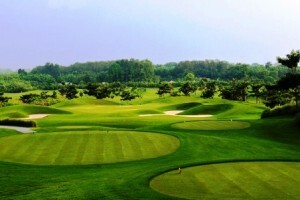 Locker areas, exercise areas, and probably the best pro-shop in Saigon all boost the entertainment of golf at Twin Doves Golf Club. The restaurant provides a wide range of Vietnamese, Oriental and European dishes but has their main focus on Korean food for most of the regular members. Open airs as well as air-conditioned dinner options are offered to make sure all the golfers will be fully entertained.